Sisters Mateja, Bernardica and Kresimira from Zagreb, Croatia, have turned a nursery for underprivileged kids into a runaway success in Croatia. 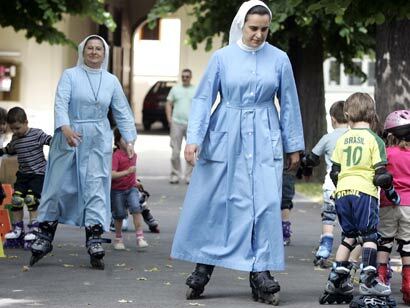 They started using the skates for exercise but now spend all day on them. St Vinko Paulski kindergarten have been flooded with applications for places since they started teaching in skates.